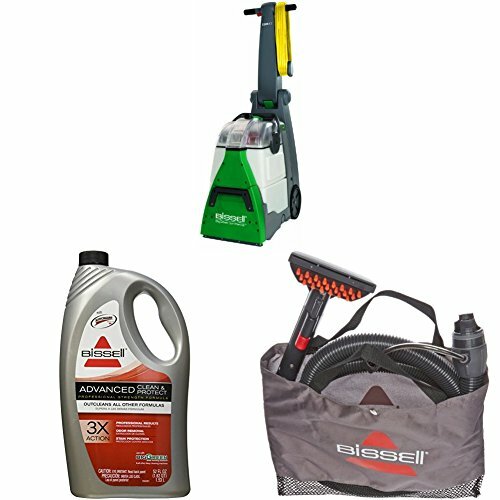 Bissell Commercial BG10 Carpet Extractor with Upholstery Hose and 52 oz. Advanced Cleaning Formula by at In The National Interest. Hurry! Limited time offer. Offer valid only while supplies last. TWO POWERFUL MOTORS: One for suction power and one for brush roll. It provides a deep clean for tough stains and dusty carpets. TWO TANK SYSTEM: Removable clean and dirty water tanks. Flow indicator monitors water and solution levels. View More In Cleaning Chemicals.